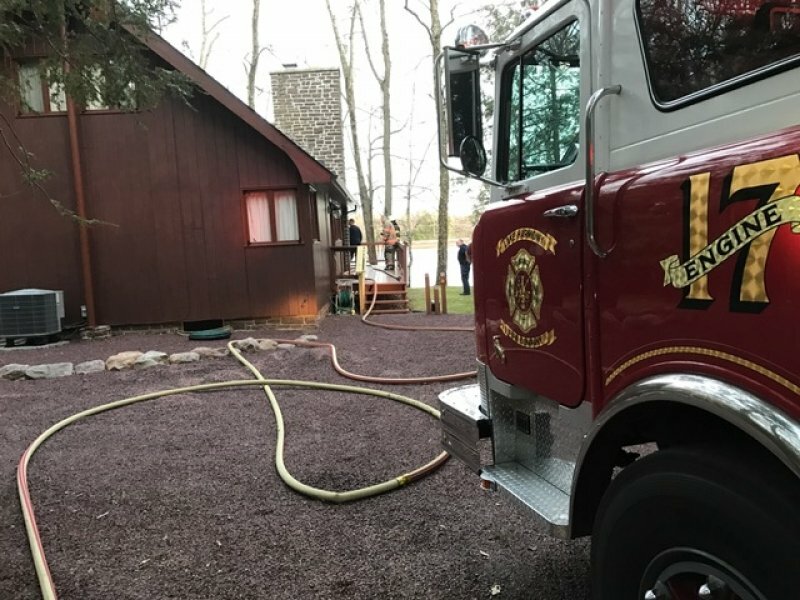 Stations 16 & 17 along with Lake Harmony Ambulance were dispatched to a reported automatic fire alarm at 66 Placid Lane in Holiday Pocono. Engine 17 arrived on scene behind 1605 who ordered the engine into the driveway of the dwelling. The dwelling was locked and appeared unoccupied as a 360 check was performed. The smell of smoke by a window prompted forcing entry through the front door. Upon entry to the dwelling, a smoke condition was present and the call was upgraded to a dwelling fire. A hand line was stretched from the engine to the front door. Fire district 12 was added to the assignment. Interior crews could not initially locate the source of the smoke. After several searches throughout the dwelling, it was determined that the smoke was coming from a fireplace clean out pit that was smoldering for the past day. 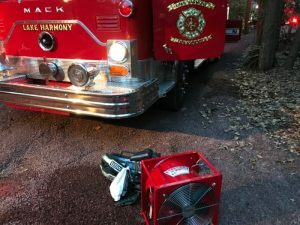 The embers were extinguished and a smoke ejector was placed in service. Crews were on scene for just over an hour.